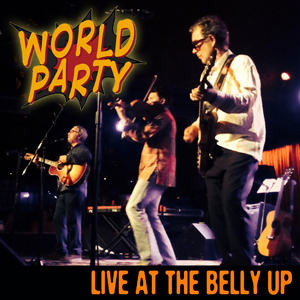 World Party, the melodic, sharp-witted and sophisticated British alternative band led by Karl Wallinger formed in 1986 as Karl&apos;s solo project (having left cult heroes The Waterboys). Citing influences such as The Beatles, Bob Dylan, The Beach Boys, Junior Walker, Neil Young and Prince; World Party has amassed a collection of hit singles over its history, including &apos;&apos;Ship of Fools&apos;&apos;, &apos;&apos;Put The Message In The Box&apos;&apos;, &apos;&apos;Is It Like Today?&apos;&apos; and the chart-topping &apos;&apos;Way Down Now&apos;&apos;, while contributing to movie soundtracks Reality Bites and Clueless. Over the years the band has worked with collaborators such as Sinéad O&apos;Connor and Peter Gabriel as well as an Australian tour with Steely Dan. In recent years Karl has taken World Party to the stages of Bonnaroo, Bumbershoot, Hardly Strictly Bluegrass Festival, Royal Albert Hall and others. Click here for more information about World Party.